Business Brokerage | Chinook Mergers, Acquisitions and Business Brokerage Ltd.
To understand business brokerage is to understand what a Business Broker or Business Intermediary does. Simply put, a business broker is a professional who helps people who want to buy or sell a business. There are other professionals typically involved in a sale, most notably lawyers and accountants. They are responsible to ensure things are done properly in accordance with the law and in the best interest of their clients, but it is the Business Broker who is responsible for making things happen. Business brokers typically work with owner operated businesses that will sell for less than two million dollars. These are often referred to as main street businesses. 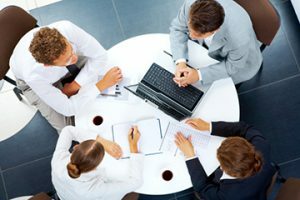 The business broker leverages his expertise in business valuation, deal structuring, business practice, process and procedures, marketing, and psychology (more common than you might think), as well as familiarity and knowledge of the business buyer marketplace to put together a business deal. Once a buyer and seller have agreed to price and terms, the business broker will ‘quarterback’ the due diligence process to ensure a successful closing of the proposed transaction.